Korean charmer and “I Love OPM” Grand Touristar Yohan Hwang makes a grand entry to the music industry as he releases his debut album under Star Music with a great mix of Pinoy covers and their Korean versions which will be available in Melon, South Korea’s popular online music store. The chinito heartthrob, who has made Philippines his home for the last three years, highlights his heartfelt renditions of three Tagalog songs in his self-titled album. He also personally translated the lyrics to Korean language in his renditions he hopes both fellow Koreans and Filipinos will enjoy. 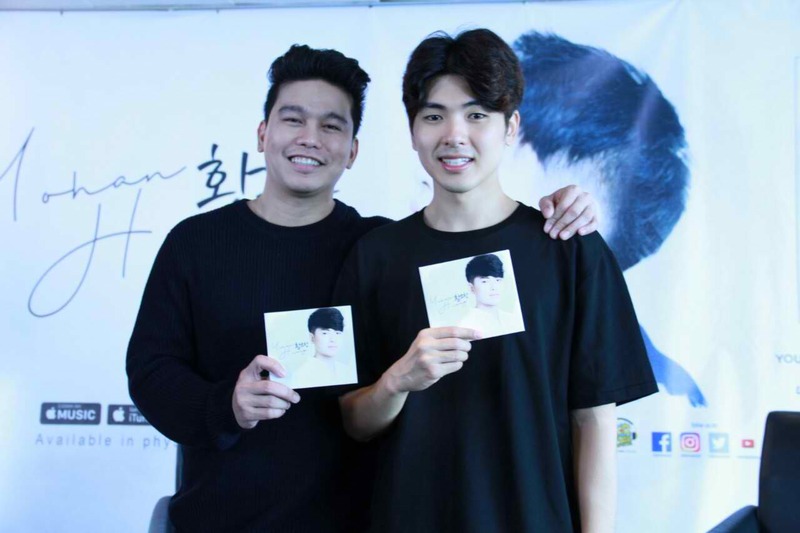 The 21-year old singer also includes his covers for Yeng Constantino’s “Ikaw” with its Korean version “Noege,” and Regine Velasquez’s “You Made Me Stronger” or “Annyeong” for his much-awaited album. “Noege” was the theme song of the recently aired Koreanovela “Love In The Moonlight” on ABS-CBN. Aside from said OPM hits, the song “Du Sa Rang,” the Korean version of one of KZ Tandingan’s biggest hits “Mahal ko o Mahal Ako,” is also part of the tracklist. This is a milestone in Star Music’s history as the leading record label taps the music portal Melon for the first time in hope to introduce OPM, translated in Korean, to the South Korean market through Yohan’s songs. The singer earlier rose to fame when he joined and eventually won ABS-CBN’s original singing competition “I Love OPM” in 2016, and got a Star Music recording contract as part of the prizes he received. Rox Santos serves as the over-all producer of the “Yohan Hwang” album which will soon be available for downloads in melon.com and other digital stores worldwide (Apple iTunes, Amazon.com, etc. ), streaming via Spotify, and purchase in record stores nationwide. For more information on Yohan’s album, visit Starmusic.ph or follow Star Music’s official social media accounts at Facebook.com/starrecordsphil, Twitter.com/starrecordsph and Instagram.com/Starmusicph.